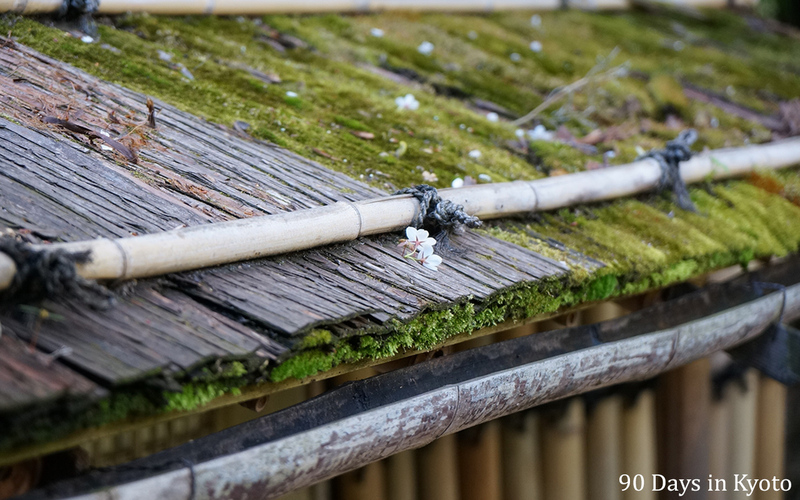 I arrived in Kyoto – finally and just in time for the sakura, the Japan’s famous cherry blossoms. 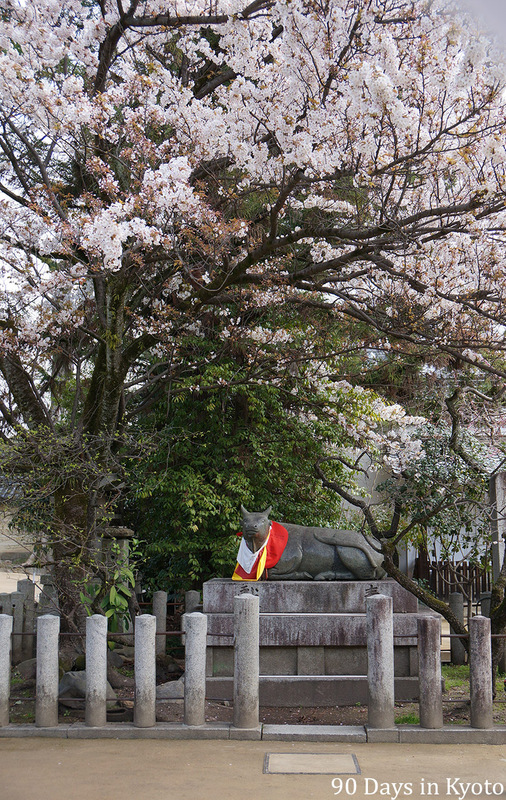 They are everywhere; in temples and shrines, lining busy main streets, next to rivers and especially near schools. Everything in Japan starts in April – the new fiscal year, school, university, and jobs for university graduates. So Sakura is the beginning of a new life for many people – and for me. I had my first workday on Saturday, I used Sunday to see more of the Kyoto’s beautiful gardens. I received the recommendation from Oyakata, the master gardener, to visit the Ninomaru gardens of Nijo-jo, the Palace of the Shogun which was built in the 17th century. That garden is “easy to understand”, I was told. I can see why; it definitely impressed me. More on that later. 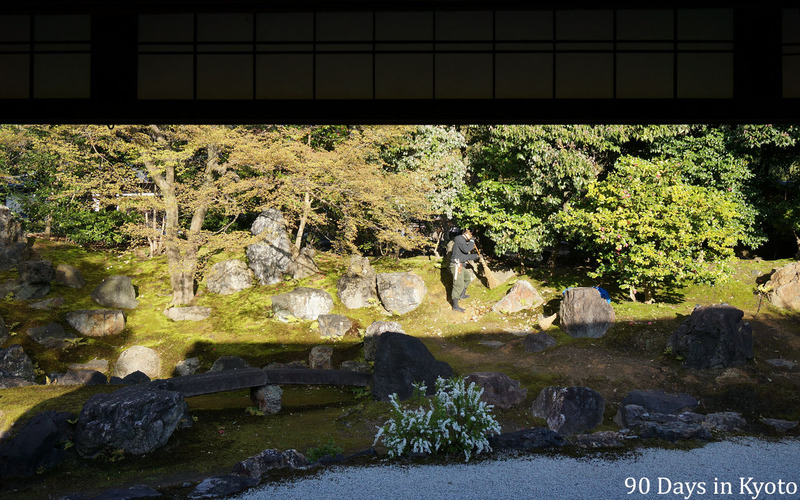 Day 2 – My colleague cleaning the moss in the northern garden of Entoku-in, which is a sub-temple of Kodai-ji (高台寺). 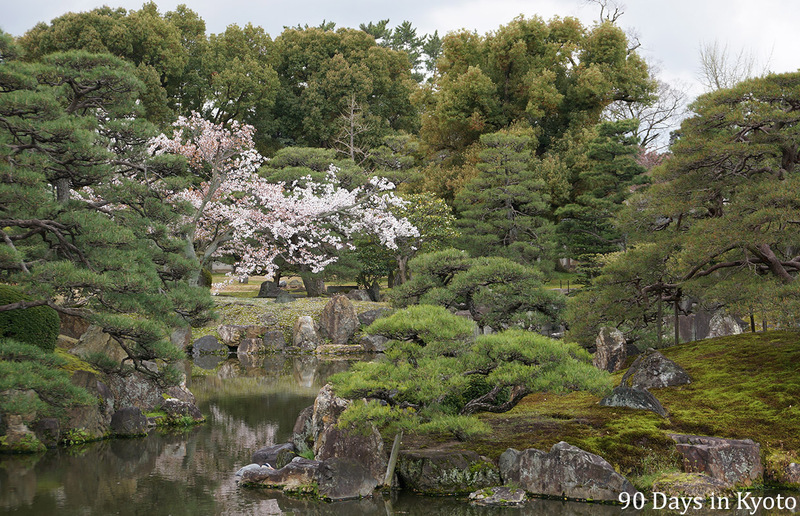 Day 3 – I used my first free day to visit the Ninomaru gardens of the Nijo-jo, the castle of the shoguns in the 17th century. 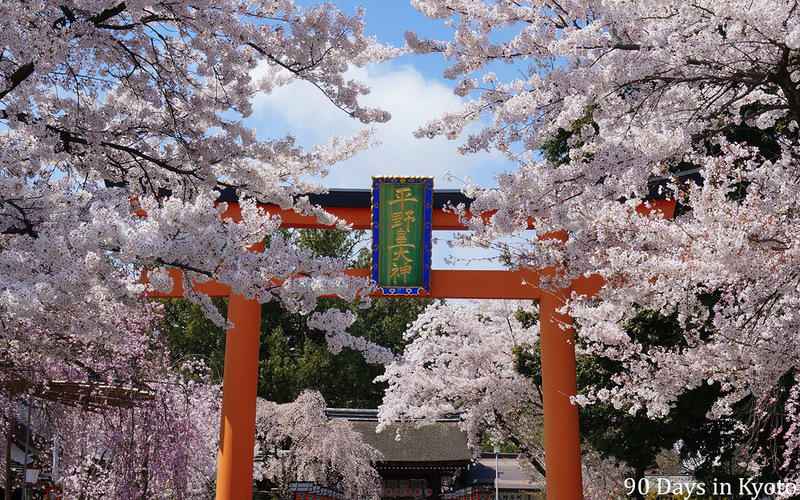 I went on to the shrines Kitano Tenmangu (北野天満宮) and Hirano Jinja (平野神社), which are full with cherry blossoms (and crowded with visitors). After lunch, I visited Hokongo-in (法金剛院), one of the few temple of the Ritsu school of Buddhism (律宗). To finish my day of Niwa-meguri (Visiting gardens), I decided to pay another visit to Myoshin-ji, which is close by. 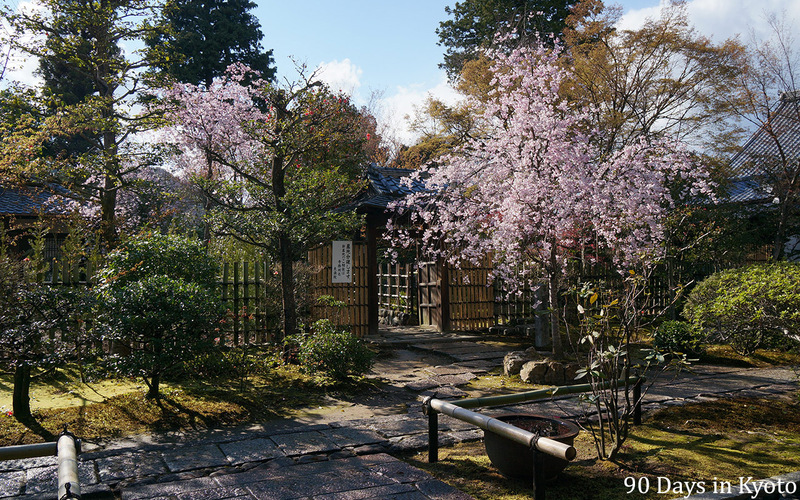 Its sub-temple Daiho-in (大法院) is only open in autumn and spring. I had seen it in autumn before, and loved it. It is one of those gardens that truly calms my mind. After a short but intense hail shower, the tea garden glistened in the sun more beautiful than before.